The transfer service we provide will make your holiday experience start from the moment we collect you. We aim to make the journey hassle free by keeping up to date with any traffic and airport delays and we will also keep you informed of these. We accept all major credit and debit cards – A real benefit for our customers. For business use we know the last thing you want is a driver wearing a vest and rubbish on the seats – that's why our cars are kept clean & tidy inside and out and the drivers are smart as well. All our drivers have mobiles so are kept fully updated on traffic problems & delays, making sure you arrive on time. 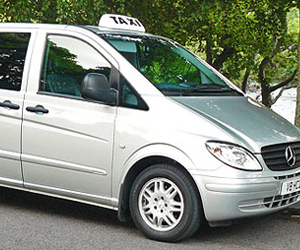 We have executive cars available for the VIPs if required – with air conditioning to make the journey comfortable. Call us today to set up an account & take the hassle out of your business travel.